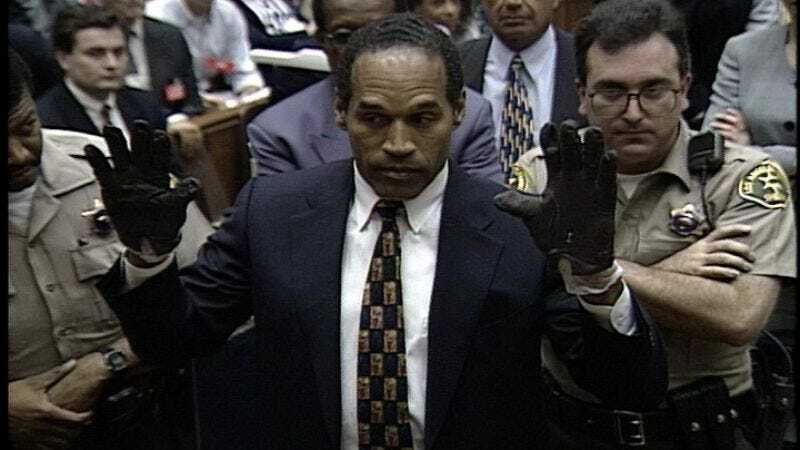 Besides serving as a historical document and a fascinating counterpoint to FX’s series, The Real O.J. Simpson Trial also presents an exciting opportunity for pranksters looking to keep the April Fool’s Day fun going on a little longer. Here’s how it works: Wait for your roommate to fall asleep on the couch, replace the TV with an old tube model, tune in to the trial footage, and then, when they wake up, convince them they’ve fallen through a wormhole back to 1995. Your opportunity will present itself beginning at 9 AM ET/PT on the Esquire Network.